How can the handrail of a non-linear railing be made into a poly beam ? 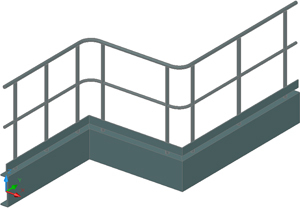 When the railing joint is made on a series of non-linear support beams, the joint will automatically be created from a series of straight parts connected with welds. By default, the handrail is created from a series of profiles connected with welds. 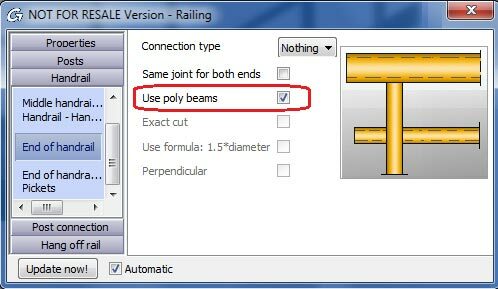 In the joint dialog box we can set the handrail to be a poly beam by selecting the "Use poly beams" option on the Handrail / End of handrail tab.